We are excited to welcome you to our shala to begin your Ashtanga Yoga practice! While a traditional Mysore practice is always perfect for beginners, we realize that it still may be a little intimidating or confusing at first. This is why we’ve created 4 special classes designed for beginners; students who require a little more support or instruction; students recovering from illness, surgery, childbirth, injury and/or trauma; and/or students who wish to refine their current practice. This class is designed for beginners to Yoga; students who may require additional assistance, modifications and support; students recovering from injury or trauma; and/or those looking for a slower pace. Students can look forward to opportunities to ask questions and to receive one on one instruction as it pertains to their body. Students can expect to learn the foundations of an Ashtanga Yoga practice such as: Surya Namaskara A & B (Sun Salutations), foundational standing postures, backbends (modified to accommodate each student) cool down postures and Pranayama (breathing techniques) This practice will increase awareness, strength, flexibility and balance in both mind and body. Once these sequences and postures are learned and committed to memory, students will have the ability to practice with independence and confidence anywhere and anytime. This class will be a combination of the two main methods of practicing Ashtanga Yoga: Led method where the teacher provides instruction to the entire group and everyone moves together and Mysore method where the teacher provides individual instruction to each student and the student practices a few postures or sequences at their own pace. This class is a perfect introduction to Ashtanga Yoga and will provide a confident entry to a daily Mysore practice. We invite all in the community to join us for a donation based Intro class. This class is an Introduction to the Primary Series of Ashtanga Yoga and is open to all levels of practitioner, including complete beginners. In this class students will be guided through the first half of the Primary Series. Modifications and props will be provided to support any students who require them. We have Yoga mats available on a first come first serve basis, as well as complimentary hand towels and props. Students are encouraged to wear comfortable clothing and come with a sense of excitement and desire to transform. 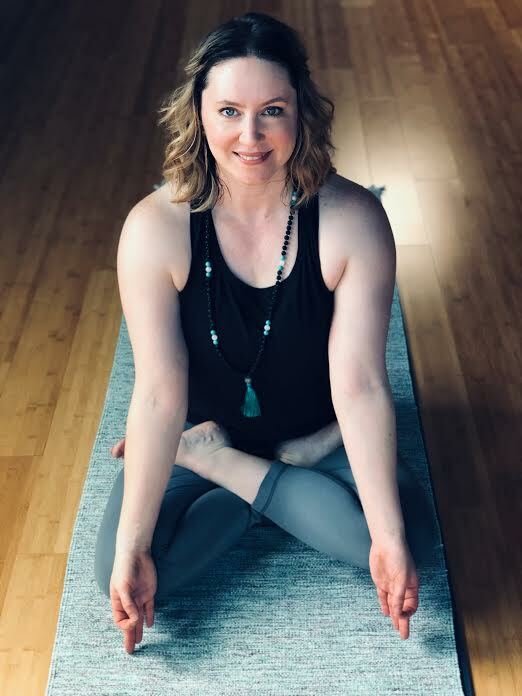 This class is designed for meditation beginners and those seeking to tap into a deeper sense of the mind-body connection. Students will learn traditional seated meditation techniques as well as guided meditations designed to access their somatic experiences, or their internal perception of self. The body holds powerful sway over thinking and feeling. This class will help students experience their bodies as allies on their journey of self-discovery. Students can expect to learn techniques that draw on internal resources to calm their nervous systems and create more overall stillness. Classes will include aspects of seated meditation, breath work or pranayama, chanting, and guided, somatic meditation. Students who attend the Tuesday 5:30pm Introduction to Ashtanga Yoga Class with Anne may attend the Meditation class for free.